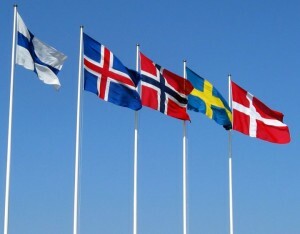 Five Nordic Countries Agree to “Drive Down” Oil and Gas Methane Pollution Alongside the U.S.
Last week’s White House announcement marked an important step in the march toward global climate action. The U.S.-Nordic Leader Summit Joint Statement, issued by the United States, Denmark, Finland, Iceland, Norway and Sweden, underscored the need for a broad climate strategy, one that prioritizes reductions in both long- and short-lived climate pollutants across key industry sectors. In addition to addressing renewable energy, HCFs, international aviation emissions and deforestation, the statement included a commitment for each country to develop a national plan to reduce emissions of methane, a powerful short-lived greenhouse gas. This is critical, given a wave of scientific data that highlights the need to reduce methane emissions from the oil and gas supply chain. The agreement is another sign that methane is starting to get the international attention it deserves, as reducing oil and gas methane is one of the most impactful and cost-effective actions we can take to slow the current rate of warming. Short-lived climate pollutants like methane impact the climate differently than long-lived pollutants such as carbon dioxide. That’s because methane is 84 times more powerful at absorbing heat than carbon dioxide for the first 20 years after it is emitted. Carbon dioxide builds up in the atmosphere, and its cumulative impact dictates how warm the planet gets. Methane, on the other hand, is a potent, short-term gas that does its damage more quickly by influencing how fast warming happens now. Developing strategies to reduce both carbon dioxide AND methane is necessary to effectively deal with climate change. Fortunately, several reports (see here, here and here) from energy analysts at ICF indicate that there are many low-cost technologies available to make sizable cuts in oil and gas methane emissions, the largest global source of industrial methane. More than 3.5 trillion cubic feet of methane escaped from the global oil and gas supply chain in 2012, according to Rhodium Group. Yet only a handful of countries (the United States, Mexico and Canada) included oil and gas methane reductions in their commitments leading up to Paris. The Nordic countries and the United States explicitly reconfirmed their commitment to combat methane as part of their respective commitments to implement the Paris Agreement. Hopefully, this is a first step in expanding the number of countries that highlight oil and gas methane reductions in their next round of commitments. The countries also agreed to “drive down” their oil and gas methane reductions through “sound regulation and targets.” The United States has shown significant leadership over the last few months to develop and implement such regulations, including EPA’s new clean air standards that limit emissions of methane from new and heavily modified sources in the oil and gas industry. The Nordic countries welcomed the announcement of the U.S.-Canada 40-45 percent oil and gas methane reduction goals and agreed to encourage other countries to join this effort. Separately, the six countries also committed to support the development of a global oil and gas methane reduction goal. Such a step would be a huge win in the fight to reduce these potent emissions. For context, reducing global oil and gas methane emissions 45 percent would have the same 20 year climate impact as closing 1,000 of the world’s coal power plants. This is a climate opportunity we can’t afford to miss. Regulation and governmental action will be important, but oil and gas companies around the world must also play a constructive, proactive role in reducing their methane emissions. Today, few companies report their methane management plans, and none share quantitative targets to reduce methane emissions. But some leading companies have stepped up. BP, Eni, Pemex, Southwestern Energy Company, Statoil, Total and others have joined The Oil & Gas Methane Partnership. The first OGMP report, outlining the methane reductions achieved by these companies, will be issued later this year—a solid step toward corporate responsibility and transparency. The U.S.-Nordic countries noted the value of this partnership and encouraged others to join and set their own company-wide reduction goals. Together, the flurry of actions taken in U.S. states, Canadian provinces and at the federal level in both countries, along with last week’s Nordic Statement and the early leadership among some oil and gas companies all demonstrate strong momentum building on this important global issue. As other oil and gas producing countries and companies around the world recognize the impact their methane emissions have on the climate and the affordability and effectiveness of reducing them, we anticipate others will step up to take similar actions. By leveraging these low-cost, high value investments, they can show the world how they are becoming part of a climate solution. This entry was posted in General, Methane, Natural Gas and tagged global methane. Bookmark the permalink. Both comments and trackbacks are currently closed.